In building out this week's Marginal Gains Podcast topic, I've been doing a lot of thinking, reading about one of my favorite performance related topics: asymmetry. Asymmetry plays a unique roll most everything from the workings of the universe codified in what's known as Thermodynamic Time Asymmetry to the way the human brain processes and makes decisions regarding risk and reward. 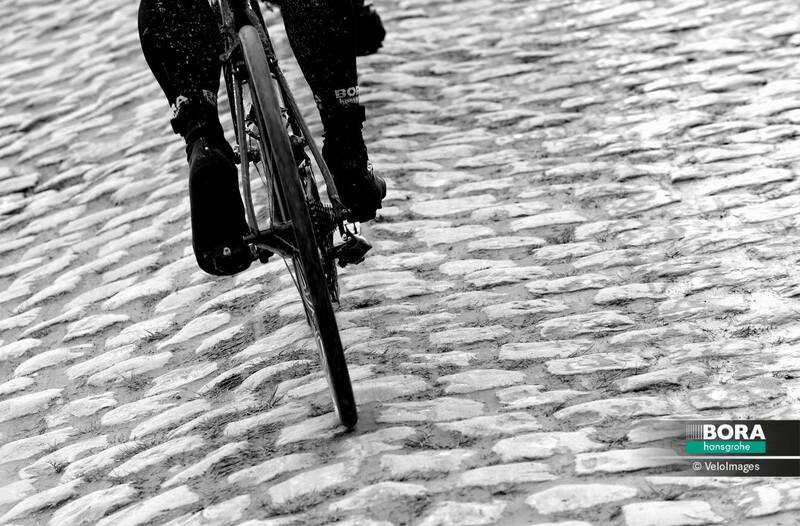 For most of my career, I've been out to exploit gaps in the knowledge of the sport of cycling, particularly gaps in areas where two or more systems overlap each other creating unique optimization problems with asymmetric behaviors. I like to visualize these problems as a hockey stick. If your world view is sufficiently small and you are on the handle of the stick, the world appears to be linear in both directions, and if your sufficiently small and on the blade, then the world appears to be consistently curved and steep in both directions.. but you have to see the whole picture to realize that the two elements of the stick come together to form a whole which contains all the elements. In many ways, this is a nice metaphor for the work that's been done to push technology forward in our beautiful sport. For years, performance was viewed purely as the human motor, then it focused on the weight of the machine, then on the friction of the machine, then stiffness and later on the aerodynamics of the machine. After 100 years of progress, we can now see the entire machine as a complex system, one that is full of hundreds of these hockey stick shaped optimization problems. I like to analogize this to the story of Icarus. When Icarus and Daedalus escape the Palace of King Minos on Crete.. Daedalus warns Icarus not to fly too close to the sun as his wings may melt, while also not flying too close to the sea as his wings may become heavy with mist... 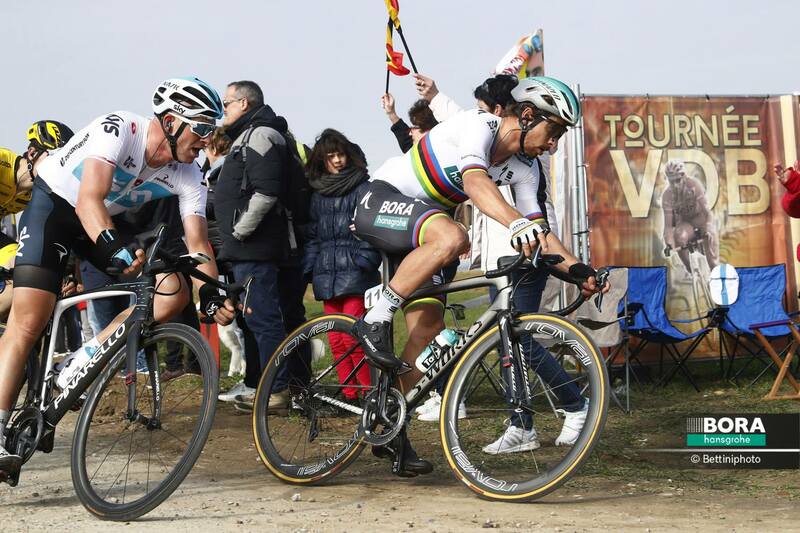 This optimization of Roubaix tire pressures is similar to the asymmetric challenge faced by mountain, trials, CX and gravel racers around the world in key events: 'How low are you willing to go?' The risks here are highly asymmetric, 3psi too high, and you may not be as fast as your rival, yet 1psi too low and you may be standing on the side of the road waiting for 2 spare wheels while the race rides away from you! Similarly, we find another Icarus asymmetry in road and track racing at much higher pressures. This is analogous to Icarus flying too close to the sun! While we were all brought up to believe that higher pressures are better on road and track, testing has shown this not to be the case. 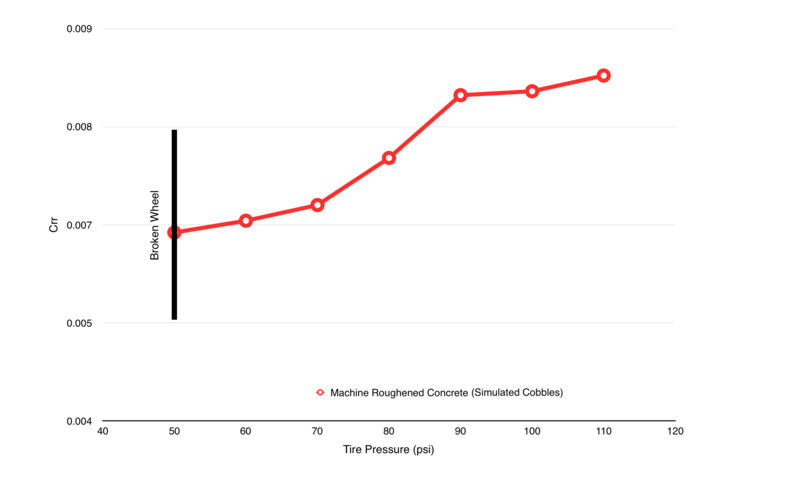 Rolling resistance will decrease as pressure increases, but eventually, the pressures become high enough that the tire begins to ride 'over' the bumps rather than 'through' the bumps and while the deflection of a tire casing is more than 90% efficient, the lifting and dropping of a bike and rider over each of those thousands of bumps is more like 30-40% efficient..So just as we see in the cobble analogy, even decent pavement can become problematic as pressures become too high! In this case, the asymmetry is opposite that of the cobble story. The rolling resistance on pavement decreases as pressure increases, slowly and steadily.. 60psi is OK, 70psi is better, 80psi is better still, 90 is really good and suddenly 100psi is .. wait? worse? Yes. Now the penalty, in this case, isn't standing on the side of the road with broken equipment, but the hockey stick is working against us! 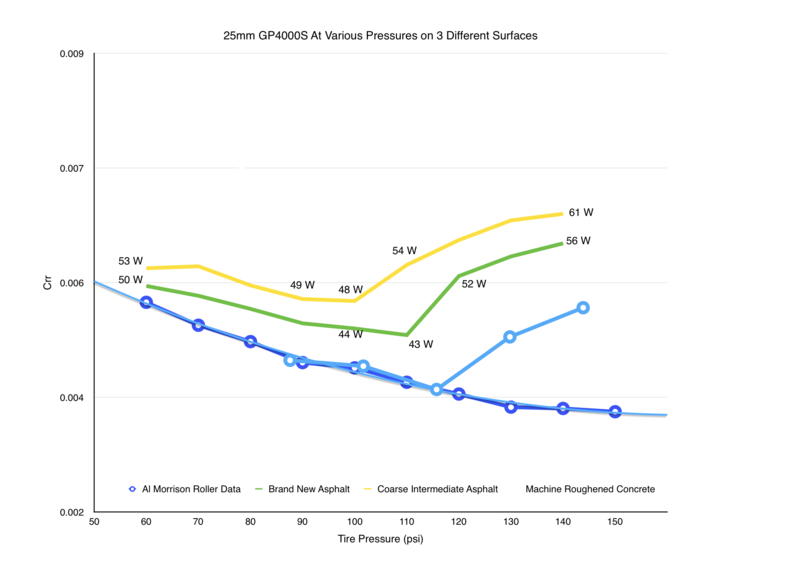 Our testing shows that while 5psi below optimal pressure for a given surface may cost you 1 watt, 5psi above the optimal pressure may cost you 3-4 watts. This is the type of optimization problem that is highly favorable to those with the greatest amount of knowledge and data. 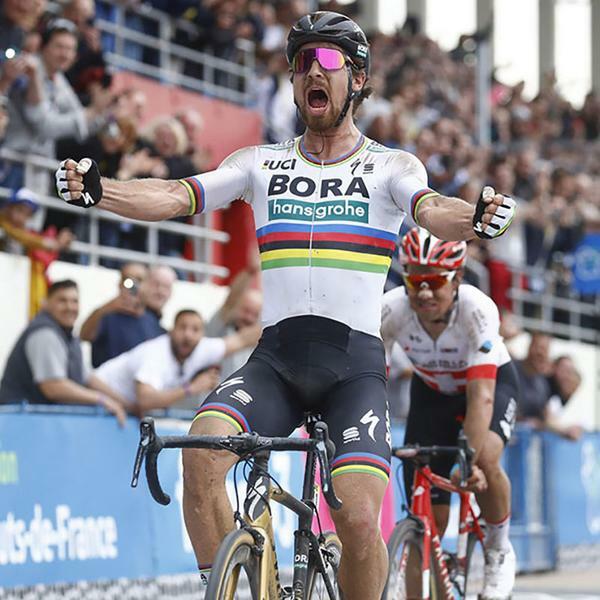 One which favors those who can make the best decisions based on complex combinations of data sets... imagine, the race of Paris Roubaix 2018 if you are the team of Peter Sagan... 55km of pave in 29 sectors in a race of 257km. So we have another optimization problem with asymmetry: do you optimize for the 200km of pavement? 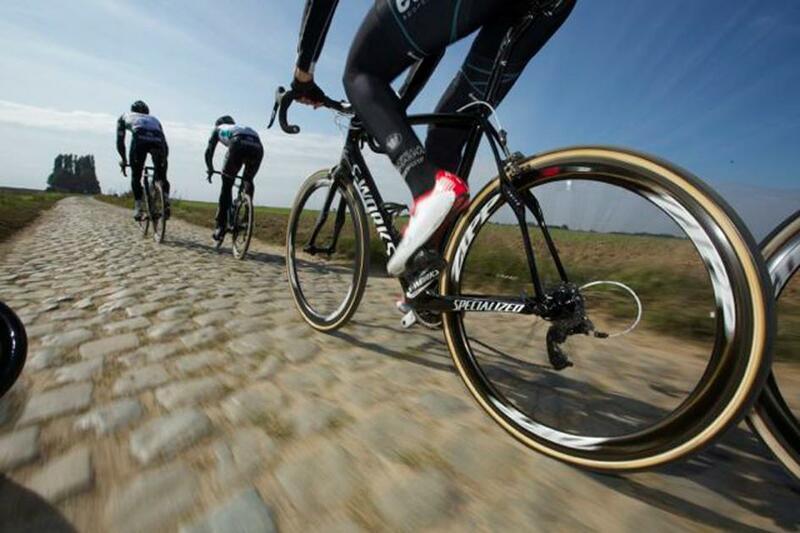 Or the 55km of Pave? How do you best blend the two? Now I've been directly involved with this question for 7 of the last 8 winners of this race.. and the answer is that a larger tire allows for more leeway in both directions.. last year we ran 32mm tires labelled as 30mm and that gives another 4-5% rolling advantage at the same pressure on the smooth pavement sectors, while also giving 8-9% extra distance between the rim edge and the cobbles at the low end on the terrible cobble sectors. Of course, we still have to determine where in this range to optimize further.. as creating extra advantage at both ends then also needs to be further developed into more advantage! In nearly every facet of performance there exist dozens if not hundreds of these asymmetric optimizations, we will be covering this topic even further at MarginalGainsPodcast.cc where we will also be discussing the asymmetry of human decision making when faced with this type of data.